Born in Bologna, the son of a violinist, Giovanni Battista Martini (1706-84) took lessons from his father and priests at the Oratorio di San Filippo Neri before taking his vows as Franciscan. Affable and likeable, he was a popular teacher, an expert in advanced counterpoint and singing, especially plainchant. His reputation drew students (including the 14-year old Mozart and J.C. Bach) from far and wide, even if his music theories were somewhat reactionary for his day, refusing to countenance any of the progressive musical ideas then coming out of France. He also wrote two major books on music, a vast history of music (Storia della musica, 1757–1781, famous for its difficult 'puzzle canons') and the important Examples of Counterpoint (Esemplare di contrappunto, 1775). 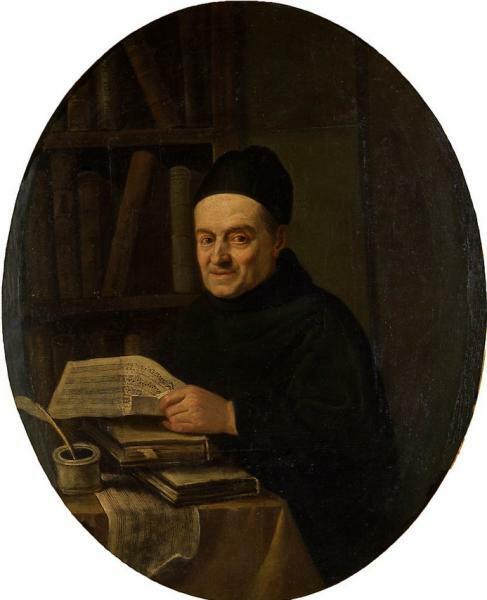 Padre Martini amassed a considerable fortune from his teaching fees, enabling him to acquire a massive library of music – an estimated 17,000 volumes by 1770, much of which went to the Imperial Library in Vienna; the rest is now in the Conservatory that bears his name and the Museo Internazionale della Musica, along with the hundreds of portraits of musicians he collected.